My response used to be "About half what its cost me"
... whilst looking at adverts recently, and thinking how glad I was that I've hung onto mine over the years, as there's no way I could afford one/justify the expense now, how terribly expensive they are now, Rocket Goldie rep? thats just an old shonk with clipons!blahblahblah...I realised that these days it probably is worth what its cost me over the years. I still preferred it when people asked "Wottleitdoo?" Re: "Nice bike mate! Wotsat werf then?" But boy, was it worth it!
" My dad had one of those,BSA Bantam isnt it?" It's none of anybody's dam business anyhow, it's like asking "So how much cash you got in the bank today, mate?" I have a friend who asked me if I know of an M21 for sale to which I replied yes, I then contacted the old boy who has one for sale but he does not know how much to sell it for (wotsit werf) the mag is reconditioned it is sound and a runner but has an age look to the paintwork. It may still be taxed but he could not remember, its in the shed with the other bikes he has (about 6 or 7) just in that shed. So come on then Wotsat werf then? Down here about $3000 to $5000 AU, saw one last week for $4000. thats between Â£1660 to Â£2800 what condition was the one you saw? 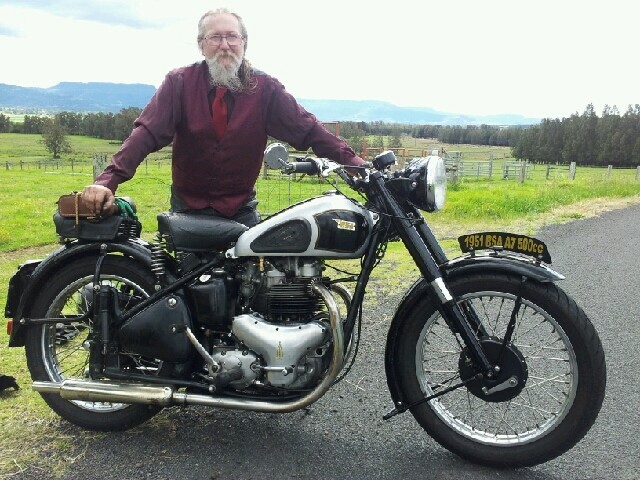 G'day Richard, it was ridable, old (much) resto, seemed ok.